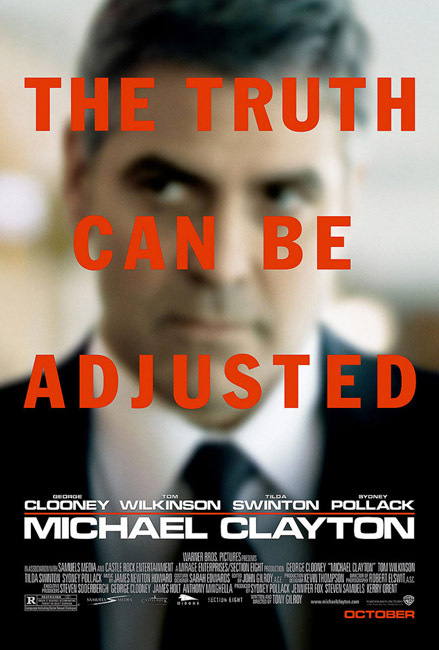 Michael Clayton (2007) | Tales From The Ipe! After more than a month, I finally watched Michael Clayton, a 2007 movie starring some great actors — George Clooney,Tom Wilkinson, Tilda Swinton, and Sydney Pollack. The movie was a little slow, but interesting camera direction by the director, and excellent performances by the cast. You can figure out the story at an early juncture in the movie, but it was still good. As a matter of fact, Tilda Swinton won for Best Performance by an Actress in a Supporting Role at the 2008 Academy Awards.